افزایش تقاضا برای آب در بیشتر مناطق و روند کاهشی منابع آب تجدیدپذیر، سبب ایجاد محدودیت‌های جدّی در دسترسی به منابع آبی و لزوم مدیریت پایدار و مناسب این منابع شده است. به‌همین دلیل، در حال حاضر تلاش برنامه‌ریزان بخش آب به‌سمت مدیریت تقاضا معطوف شده است. برای اجرای این سیاست، ابزارهای مختلفی وجود دارند که از جمله آنها می‌توان به بازار آب اشاره کرد. از این رو در مطالعه حاضر به نقش بازار آب بر مدیریت منابع آب پرداخته شد. این مطالعه از دو بخش تشکیل شده است. در بخش نخست، ایجاد بازار آب با استفاده از مدل برنامه‌‌ریزی ریاضی در سطح مزرعه و دشت، شبیه‌سازی شد. در بخش دوم اثرات ایجاد بازار آب و سیاست سهمیه‌بندی مقدار برداشت آب بررسی شد. سیاست سهمیه‌بندی، مقدار برداشت از سفره‌های آب زیرزمینی را کاهش می‌دهد. داده‌های مورد نیاز با روش نمونه‌گیری خوشه‌ای تصادفی دو مرحله‌ای فراهم آمد. در مرحله اول بر اساس میزان دسترسی به منابع آب، روستاهای نمونه انتخاب شدند. در مرحله دوم با استفاده از روش نمونه‌گیری سیستماتیک، مزارع نمونه انتخاب شدند، سپس برای جمع‌آوری داده‌های نهاده ستاده، مقدار منابع در دسترس و سایر اطلاعات مورد نیاز از کشاورزان نمونه، مصاحبه به‌عمل آمد. نتایج نشان داد که حجم آب مبادله شده، 5/9 درصد کل آب مصرفی است. متوسط بهبود درآمد کشاورزان بین 15 تا 42 درصد متغیر است. بنابراین انگیزه کافی برای همه کشاورزان برای ورود به بازار آب وجود دارد. از آنجایی که ایجاد بازار آب مانند اجرای بسیاری از سیاست‌ها و اقدامات آب اندوز، بدون طراحی اقدامات پیشگیرانه مکمل، با افزایش مصرف آب همراه است که این موضوع با هدف ملی کاهش در مصرف آب سازگار نیست، اثرات مشترک سیاست سهمیه‌بندی برداشت آب و ایجاد بازار آب در قالب سناریو 2، شبیه‌سازی شدند. در این سناریو، میزان کل آب سالانه برای مزارع نماینده گروه‌های 1 و 2 به‌ترتیب 30 و 20 درصد کاهش یافت. نتایج نشان داد که با کاهش آب مصرفی، درآمد کشاورزان تنها 8 تا 11 درصد کاهش می‌یابد. در حقیقت می‌توان از طریق اجرای همزمان سیاست سهمیه‌بندی برداشت آب و ایجاد بازار آب، هدف کاهش مصرف آب را بدون آن که افت چشمگیری در میزان درآمد کشاورزان دیده شود، محقق ساخت. آب صرفه‌جویی شده می‌تواند به‌منظور اهداف حفاظتی و تأمین بخشی از حقابه محیط زیستی به‌کار گرفته شود. در این زمینه نصب کنتور، تحویل حجمی آب و به‌طور کلی ایجاد یک روش حسابداری مناسب آب در سطح مزرعه و حوضه آبریز، پیش نیاز اجرای سیاست‌ها و اقدامات آب اندوز از جمله ایجاد بازار آب است. The growing demand for water and the declining trend in renewable water resources in most regions has led to serious limitations on water availability calling for the sustainable management of the harvestable resources. This has, in turn, encouraged most planners in the water sector to focus on demand management. A number of tools are already available for realizing water demand management goals; one such tool is establishing a water market. The present study is designed and implemented in two stages to investigate the role of a water market in water resources management. In the first stage, the creation of a water market at the farm and basin levels is simulated using a mathematical planning model. The second stage involves the investigation of the combined effects of the water market and water extraction rationing policies. It is found that rationing policies lead to reduced extractions from groundwater resources. The two-stage random cluster sampling method is used to collect the required data. Pilot villages are selected based on the data obtained from the first sampling stage. Pilot farms are then selected in the second stage based on water availability in each place. The input-output data, quantities of available water, and any other data required are finally collected through interviews with local farmers. Results reveal that the volume of exchanged water accounts for 9.5% of the total water consumed and the average improvement gained in farmers’ income ranges from 15 to as high as 42%. This clearly provides enough incentives for the farmers to enter the water market. Like all other water saving policies and measures, establishing a water market might increase consumption, contrary to the national objectives, in the absence of proper supplementary preventive measures. Thus, a second scenario is designed to investigate the combined effects of both water extraction rationing and water marketing. According to this scenario, the total annual irrigation water allocations to the representative farms in groups 1 and 2 are reduced by 20 and 30%, respectively, to observe reductions in farmers’ income levels of only 8 to 11%. This indicates that the simultaneous implementation of both water extraction rationing and water marketing is able to guarantee reductions in water consumption without any considerable decline in farm income levels. The water thus saved can then be used for groundwater protective measures and environmental water allocations. Water meters and volumetric water delivery systems as components of a sound water bookkeeping system considerable at both farm and basin levels will form the prerequisite measures to any water saving policies such as water marketing. 5. Allen, R.G., Pereira, L.S. Raes, D., and Smith, M. (1998). Crop evapotranspiration irrigation drain, United Nations, Rome, Italy. 6. Bachta, M.S., Ben Mimoum, A., Zaibet, L., and Albouchi, L. (2004). Simulation of a water market in Tunisia: A case study of GIC Melsa-Kairouan, Project INCO-WADEMED. 7. Calatrava, J., and Garrido, A. (2005). “Modelling water market under uncertain water supply.” European Review of Agricultural Economics, 32(2), 119-142. 8. Conradie, B., and Hong, D. (2004). “A review of mathematical programming models of irrigation water values.” Water SA, 30(3), 287-292. 9. Dinar, A., and Letey, J. (1991). “Agricultural water marketing, allocative efficiency, and drainge reduction.” Environmental Economics and Management, 20, 210-223. 10. Draper, A.J., Jenkis, M.W., Krby, K.W., and Lund, J.R. (2003). “Economic engineering optimazation for California water management.” Water Resour., 129, 155-164. 11. English, M. (1990). “Deficit irrigation an analytical framework.” J. Irrig.Drainage ASCE, 116, 399-412. 12. Garrido, A. (2000). “A mathematical programming model applied to the study of water markets within the Spanish agricultural sector.” Annals of Operations Research, 94, 105-123. 13. Hearne, R., and Easter, K.W. (1997). “The economic and financial gains from water markets in Chile.” Agricultural Economics, 15, 187-199. 14. Johansson, R.C. (2002). “Pricing irrigation water: A literature survey.” The world Bank, Working Paper, Washington D.C.
15. Kirda, C. (2004). “Deficit irrigation scheduling based on plant growth stages showing water stress tolerance.” FAO Deficit Irrigation Practices, Water Reports, 22, 3-10. 16. Kirda, C., and Kanber, R. (1999). “Water no longer a plentiful resource, should be used Bsparingly in irrigated agriculture.” In: Kirda, C. Moutonnet, P. Hera, C. and Nielsen, D.R. (Eds). Crop yield responseto deficit irrigation, dordrecht. Kluwer Academic Publishers, The Netherlands. 17. Louw, D.B., and van Schalkwvk, H.D. (2000). “Water market an alternative for central water allocation.” Agricultural Economics Association of South Africa, 39, 484-494. 18. Manjunatha, A.V., Speelman, S., Huylenbroeck, V., and Chandrakanth, M.G. (2009). “Impact of groundwater markets in peninsular India on water use efficiency: A Data Envelopment Analysis approach.” International Association of Agricultural Economists Conference, Beijing, China. 19. Meyer, S.J., Hubbard, K. and Wilhite, D.A. (1993). “A crop-specific drought index for corn: Model development and validation.” Agronomy Journal, 85, 388-395. 20. Morris, J. (2002). Sustainable development: Promoting progress or perpetuating poverty?, Profile Books, London, August. 21. Peterson, D., Dwyer, G., Appels, G., and Fry, J. (2004). “Modelling water trade in the southern Murrary-Darling Basin. Staff.” Working Paper, Productivity Commission, Canberra. 22. Pujol, J., Raggi, M., and Viaggi, D. (2005). “Agricultural water markets: Exploring limits and opportunities in Italy and Spain.” DEIAgra Working Papers, 1, 1-13. 23. Satyasai, K. (1997). “Terms of transactions in groundwater market.” Indian Journal of Agricultural Economics, 52, 751-760. 24. Tsur, Y., and Dinar, A. (1997). “The relative efficiency and implementation costs of alternative methods for pricing irrigation water.” The World Bank Economic Review, 11(2), 243-262. 25. Zekri, S., and Easter, W. (2005). “Estimating the potential gains from water markets: A case study from Tunisia.” Agricultural Water Management, 161-175. 26. Zekri, S., Kotagama, H., and Boughanmi, H. (2006). 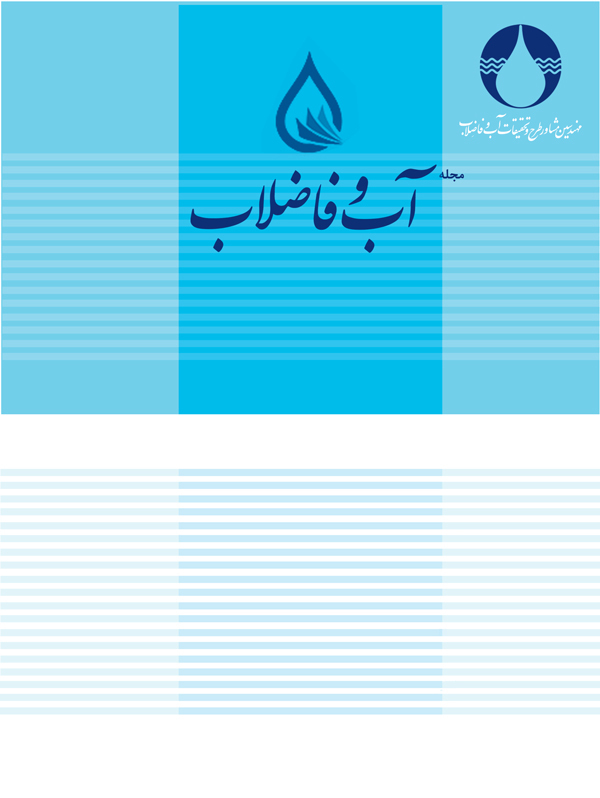 “Temporary water markets in Oman.” Agricultural and Marine Sciences, 11, 77-84.